Heute möchte ich noch einen weiteren Aspekt von Michel Montecrossa’s Kunst vorstellen: Malerei/Zeichnung/Digital Art. Hier sind 2 seiner Zeichnungen, ‘Free and Unexpected’ und ‘Acts’ – Shadowy Tree’ . 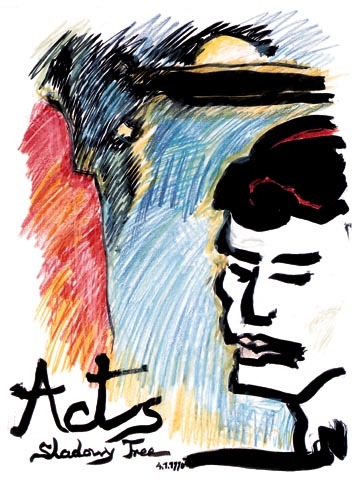 ‘Acts’ – Shadowy Tree’ wurde als Cover-Art für die gleichnamige CD-Produktion von Michel Montecrossa verwendet. Today I want to introduce you to a further aspect of Michel Montecrossa’s art: Painting/graphic art/Digital Art. These are the two drawings ‘Free and Unexpected’ and ‘Acts – Shadowy Tree’. 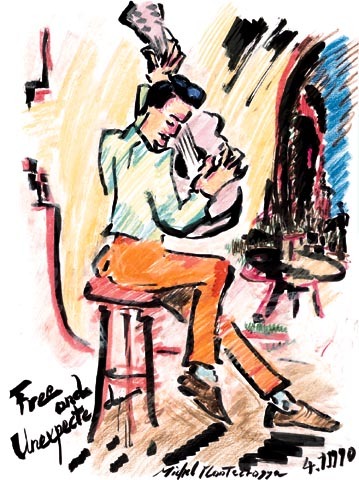 The drawing for ‘Acts – Shadowy Tree’ appears as Cover-Art for Michel Montecrossa‘s same-titled CD. Heute möchte ich gerne Michel Montecrossa‘s Overground Movie Style mit dem Interview-Action Movie seines legendären Auftritts bei MTV Italia vorstellen – ‘Michel Montecrossa & his Superchicks – Couch Party at MTV’. ‘Michel Montecrossa & his Superchicks – Couch Party at MTV’ is exuberant free cinema art that leads into new territories far beyond normal mainstream trash. Together with 7 great Michel Montecrossa songs like ‘Superchick‘ a mind-blowing cyberrocker experience unfolds its different sense of reality. Jetzt gibt es Michel Montecrossa’s ‘Sound and Soulworld Cybersymphony and Song Concert Teaser’ auch direkt auf diesem Blog. 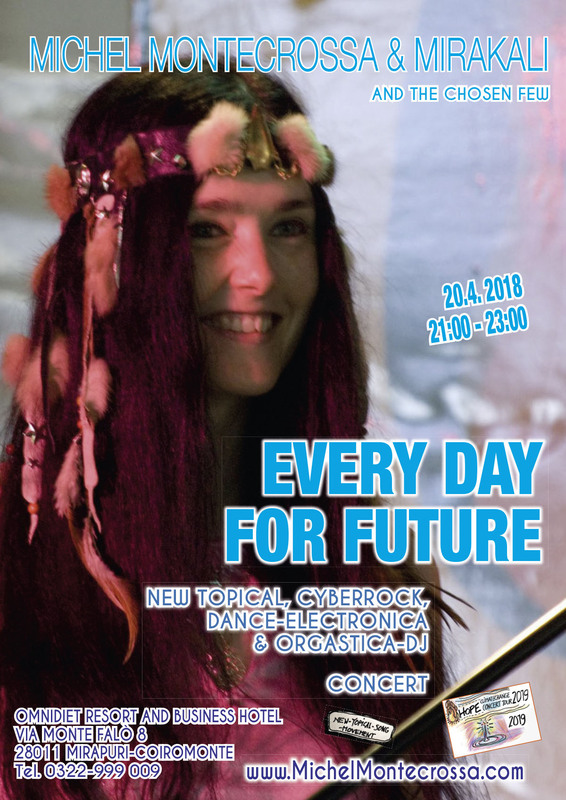 Das Video besteht aus einem Kurz-Interview mit Michel Montecrossa gefolgt vom Opening seines ‘Sound and Soulworld’ Cybersymphony and Song Concert in der Toskana Therme Bad Sulza. So here’s Michel Montecrossa’s ‘Sound and Soulworld Cybersymphony and Song Concert Teaser’ – a concert that was staged at the Toskana Therme Bad Sulza in Germany. The video is introduced by a short interview with Michel Montecrossa. 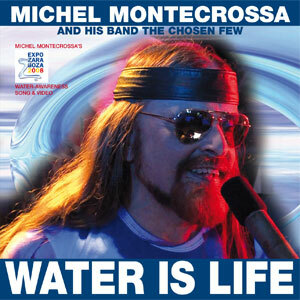 Michel Montecrossa’s Themensong ‘Water is Life’ ist jetzt als CD/DVD erhältlich. Das Musikvideo zu ‘Water is Life’ gibt es weiterhin auf dem Michel Montecrossa Newsletter zu sehen. ‘Water Is Life’ released by Mira Sound Germany, as single Audio-CD & DVD presents Michel Montecrossa’s great EXPO 2008 water-awareness song and movie. “The demons that ride humanity are like volcanos erupting, like waves surging, like thunderstorms growling, like cyclones howling, like fire screaming, like earthquakes rumbling, like sunrays burning, like ice melting, like ocean and rivers rising, like desert expanding, like global warming, like ice-age coming, like climate changing, like air mutating, like water fading – their brain echoes of the planet’s language, the call of evolution, the drive of consciousness growing. So here’s already the announcement of Michel Montecrossa‘s upcoming concert: Join the ‘Planet’ Cyberrock & Slam Poetry Song Concert combined with international poetry reading, videoclip show and Mirasolaris Eco-House presentation (www.mirasolaris.com) on 20th september 2008 in Gauting near Munich, Germany.